Sandra Oh and Jodie Comer quickly reset their cat-and-mouse dance, but someone new looks to slide into their groove. With that in mind, it should come as no surprise that Season 2 wastes little time reestablishing the dynamic it pretended to blow up during last year’s finale. Yes, MI6 agent Eve (Sandra Oh) finally came face to face with Villanelle (Jodie Comer), the assassin she hunted (and fell for?) over an intense investigation, but she only appeared to make a decision. She stabbed her. She hurt her. But she also let her go. Thus is the requirement of a series built around two people fated to kill each other, but it’s also the unique joy of letting “Killing Eve” play out. It’s a procedural, yes, but not one built on solving anything — it’s built on romance. We know who the killer is, and we know what the cop has to do. Sure, there are little mysteries thrown in to keep them busy, but they don’t matter as much as the delicate dance between two people drawn to one another. So while some viewers may want more consequential decisions to drive the story forward, “Killing Eve” has plenty to say, explore, and delight in while repeating the procedure from Season 1. Of course, there are slight alterations — and one big one. Picking up 30 seconds after the last shot from the finale, Eve is in a panic within Villanelle’s empty apartment. There’s blood everywhere, but the source — her target — is nowhere to be found. Director Damon Thomas captures Eve’s frenzied state in a smooth long take, moving with her as she tries to flee the scene without arousing any suspicion, or allowing Villanelle a free pass to freedom. This leads to their separation, and “Killing Eve” settles back into its two-arc story structure helmed by each of its excellent leads. Eve’s superego continues to wrestle with her id; instinctively, she wants to be around Villanelle, even though she’s not sure why or what they’d do together. Moreover, she knows the laws of common sense, let alone her duties as a police officer, prohibit any sort of casual relationship with the killer. Still, what does it mean that she’s this obsessed? Does she just really enjoy her job, leading her to get a little too deep inside the brilliant mind of her first assigned serial killer? 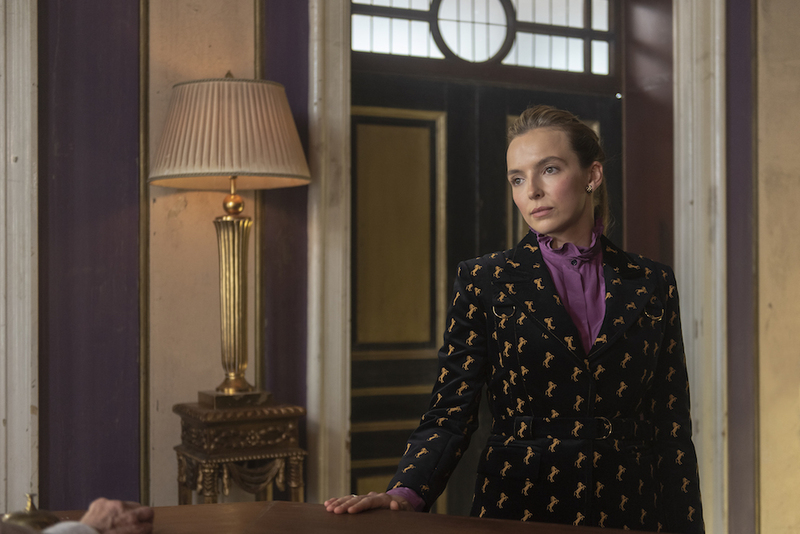 Is there plenty of life to live after Villanelle is captured? Could she just move on to the next case, assuming another will be as challenging? Or is it her greatest fear: that Villanelle is truly special, and she marks, in whatever form, the high-point of Eve’s life? Villanelle is the opposite. She operates through instinct, even while making smart, insightful choices. When she needs medical attention, she figures out how, no matter the cost to others. When she wants a sucker meant for child patients, she has no qualms about asking for it (or simply taking it). When she needs to lie low for a while, she knows the kind of backstory that won’t result in follow-up questions and the type of person who she can manipulate into helping her. She also has no question as to what she wants: She wants Eve. In what fashion remains unclear, but Villanelle doesn’t care. She’s not thinking about what it means or how it could work or whether it’s a relationship that could last more than two seconds. On the one hand, she’s irrational. On the other, she’s admirable for following her heart, so to speak. “Killing Eve” Season 2 tends to act a little more like Villanelle than Eve. Those who identify more with the anxious every-woman likely want to see the two come together and make a decision about who they are to each other, even when they know such finality could mark the end of the series. For the Villanelles out there, “Killing Eve” (under new showrunner Emerald Fennell, who wrote the first two episodes) is happy to keep cruising along, knowing what it wants while loving every second of the chase. How it all works isn’t a question the series is ready to answer yet, and that’s OK — it’s having fun not figuring it out. There are awkward jokes, quirky new characters, and even a surprise twist on the formula in Season 2 — Eve and Villanelle’s two-person tête-à-tête is going to get a third caller, unwanted by at least one of the primary parties — but “Killing Eve” remains very much grounded in its original identity. This is a show about two women lovingly entwined by their own complicated obsessions, fighting for what they want in a world that doesn’t understand them. Digging through their emotional discourse is fascinating, just as respecting it is fundamental to appreciating the series’ conceits. There’s nothing broken about this story, so let’s not worry about fixing it. 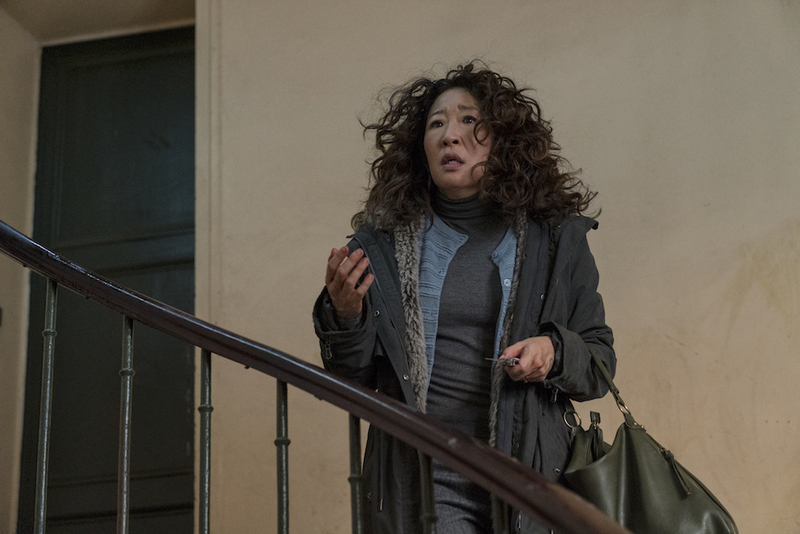 “Killing Eve” Season 2 premieres Sunday, April 7 at 8 p.m. ET.